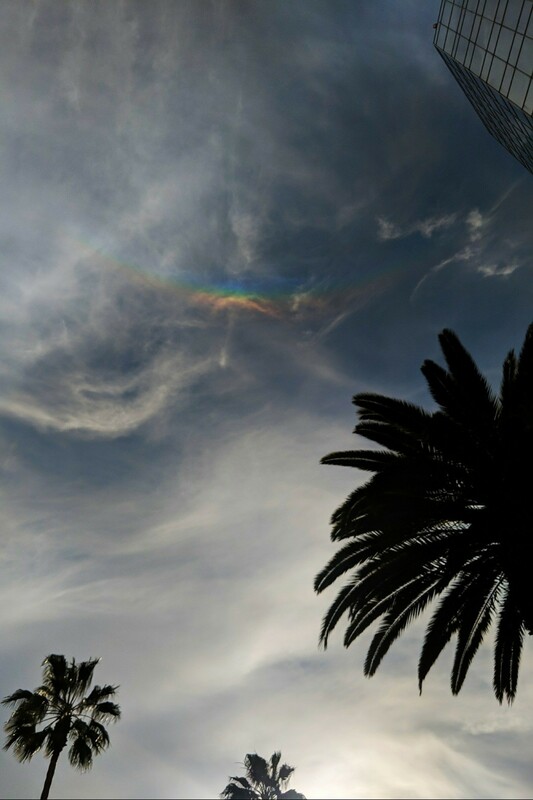 A circumzenith arc. Like an upside-down rainbow high above the sun, wrapping around the top of the sky. I think this is the second I&apos;ve seen, but the first was only a fragment. Taken with my phone through polarized sunglasses. Color and contrast enhanced.